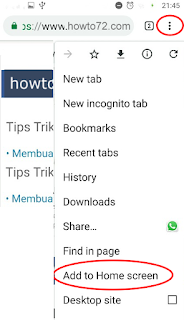 How to create website shortcut in Android using Chrome. 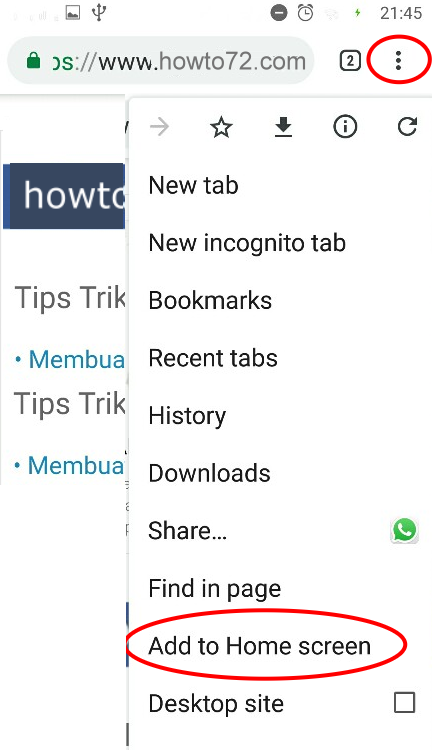 To create website/URL shortcut in Android and show it at home screen. 2. Open the website that you want to create it's shortcut. 3. After the website is opened, tap the menu (3 vertical dots), then choose Add to Home screen. Now the website shortcut is already created and show at Home screen.